Hii all, just two months ago, I bought the Hyundai Eon Magna so far it has done around 1200 kms. I must say that at price of Rs. 3.72 lakh, Eon is one of the good choices to purchase. 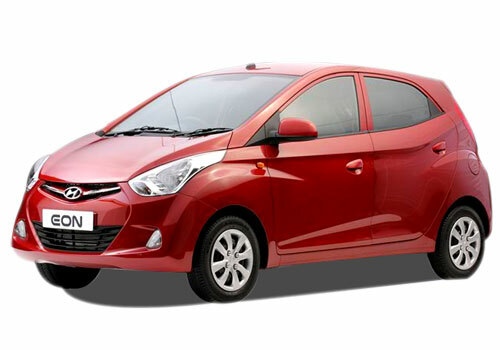 The looks of Eon are quite enticing and sporty that surely inspires the youth to buy it. Moreover, this car has got incredible fuel efficiency of around 16 – 17 kmpl in city and around 19 – 20 kmpl on highways. The dual tone interiors are fabulously mated that surely looks much pretty than the rival Alto. Both front and rear cabin have got good space for four occupants. One thing is sure than, Eon has better head-room compared to the Alto. The power steering eases the handling and has got the tilting features too. I think that for the city rides, Eon is the best option to buy. The major setback of this car is its lesser efficient AC. You have to turn on the AC on full speed to make the car chilled. In addition Though, the transmission shifting is too good than the Alto, but there is a lot of vibration in it. Rear seat of Eon can be good for two passengers, but if you try to fit three passengers in it, you will find much difficulty. Another setback of this car is music system which is available only in the Magna Plus and Sportz variants of this car, the other three variants don’t have the music system. My verdict about this car would be a good car for city driving as it is blessed with great fuel efficiency. If you want to experience with fabulous features, you will have to move with the top end variants.